At SFU Conference & Guest Accommodations and the Simon Hotel we are in the business of relationship building. We work hard to build relationships with the community, our clients and our guests. We are committed to providing comfortable, convenient and affordable accommodation alongside SFU’s world class fitness facilities, modern academic meeting space and award winning dining facilities. Nestled on 430 park acres high on Burnaby Mountain, Simon Fraser University’s Burnaby Campus boasts distinctive architecture based on the original design concept of Arthur Erickson and Geoffrey Massey. 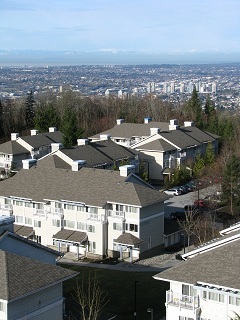 Conveniently located near Highway 1, SFU is the perfect starting point for your next visit to Metro Vancouver.